…that Hartford, famous as the Insurance Capital of the World, was also once known as the Horseshoe Nail Capital of the World. In the late nineteenth century, George Capewell formed the Capewell Horse Nail Company, which mass produced horseshoe nails. Capewell patented a machine that could mass produce the nails that attached shoes to horses’ hooves. He presented it to Hartford investors and by 1881 started his company. The company eventually moved from its Hartford location on Charter Oak Avenue to the nearby town of Bloomfield, until its closure in 2012. 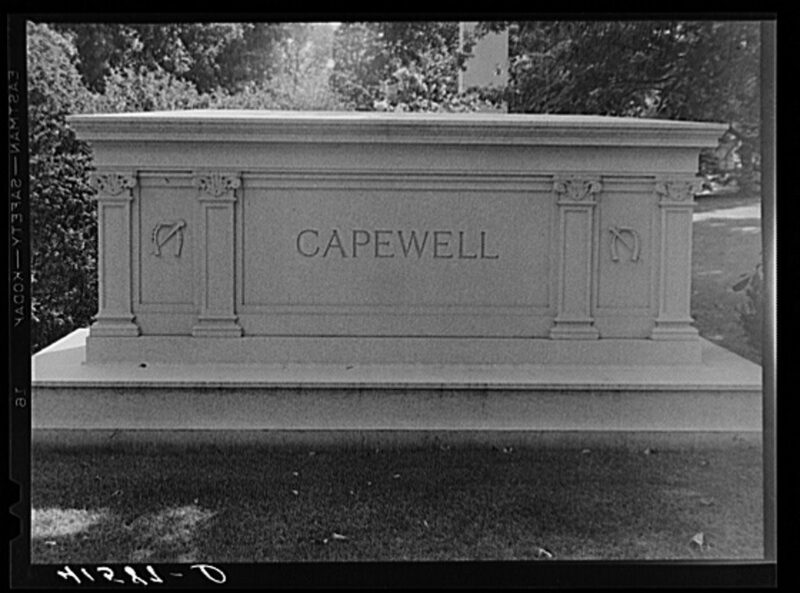 Inventor and company founder Capewell died in 1919 and was buried in Hartford’s Cedar Hill Cemetery. His memorial appropriately includes horseshoe and horse nail detailing carved in the marker’s stone.